Retro 1096's. Colorful and Groovy Peace Signs on a black background. 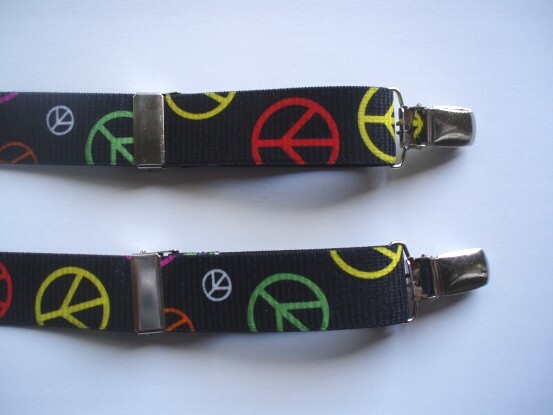 High quality 1 inch wide elastic with sturdy clasps. Made in the USA. Ships in 1 day. 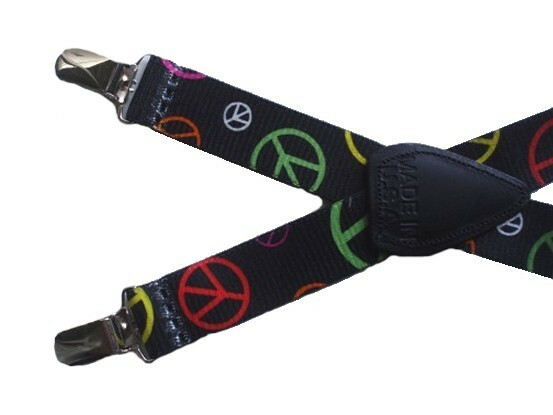 See other related elastic suspenders and magnetic elastic belts below!